Size 14mm. 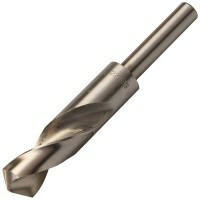 Large diameter high speed steel twist drills with reduced shanks. use .. Size 18mm. Large diameter high speed steel twist drills with reduced shanks. Can .. Size 22mm. Large diameter high speed steel twist drills with reduced shanks. Can .. Size 20mm. Large diameter high speed steel twist drills with reduced shanks. Can .. Size 25mm. Large diameter high speed steel twist drills with reduced shanks. Can .. Size 16mm. 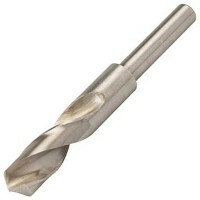 Large diameter high speed steel twist drills with reduced shanks. use .. Size 19mm. Large diameter high speed steel twist drills with reduced shanks. Can ..